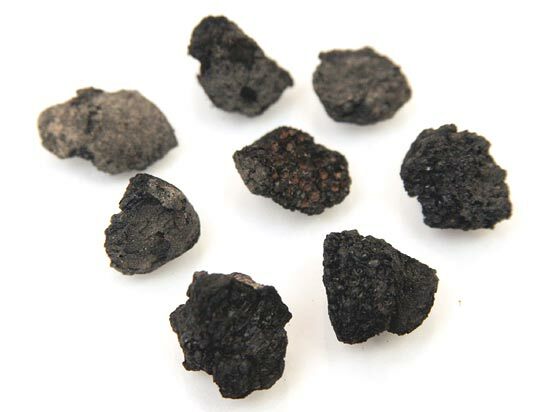 Ancient Figs May Be First Cultivated Crops The discovery of figs in an 11,400-year-old house near the ancient city of Jericho may be evidence that cultivated crops came centuries before the first farmers planted cereal grains. An ancient fig (left), appears next to an Iranian commercial variety (center), and a common variety of Turkish fig (right). 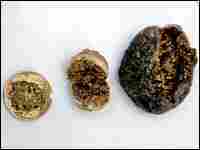 The ancient fig's color was altered to prepare it to be photographed in magnified form. 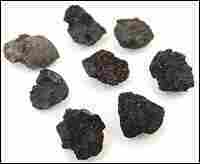 Fig remains were found at the Gilgal I archeological site in the Jordan Valley, not far from Jericho. The discovery of figs in an 11,400-year-old house near the ancient city of Jericho may be evidence that cultivated crops came centuries before the first farmers planted cereal grains. 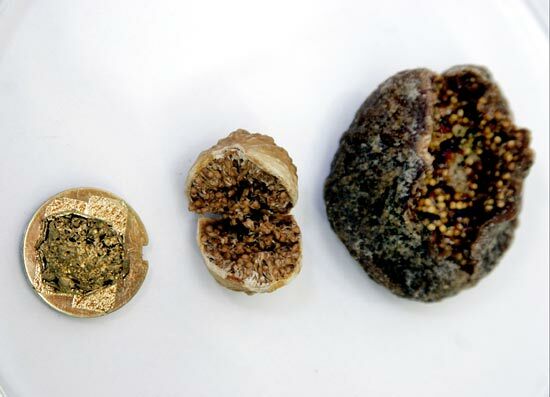 Archeologists in Israel discovered the figs in an excavated house in a village called Gilgal 1. The fruits were mutant figs -- growing on a rare kind of tree that isn't pollinated by insects and won't reproduce unless someone takes a cutting and plants it. According to Harvard anthropologist Ofer Bar-Yosef, generations of people must have lived around wild fig trees until people figured out how to grow these mutants. "It's generally women who do the gathering in hunting-and-gathering societies," Bar-Yosef says. "And you know years of experience would tell them exactly how the plants behaved...."
Writing in the journal Science, Bar-Yosef and colleagues in Israel say these figs may now be the first cultivated crops. But he suspects the transition to domesticated crops -- whether barley, oats or figs -- was a slow process. "The facts that the figs were already domesticated means that humans were enjoying this practice of cutting branches and sticking them into the ground to be the new trees," Bar-Yosef says. "You don't get plants like figs domesticated if you don't start planting it systematically again and again." In the broadcast version of this story, an archeological site in the lower Jordan Valley was incorrectly identified as being in Israel. The site is in the occupied West Bank.